Man Describes His Tinnitus Experiences on YouTube — "Tinnitus Nightmare"
Discussion in 'Support' started by calin, Mar 23, 2013. 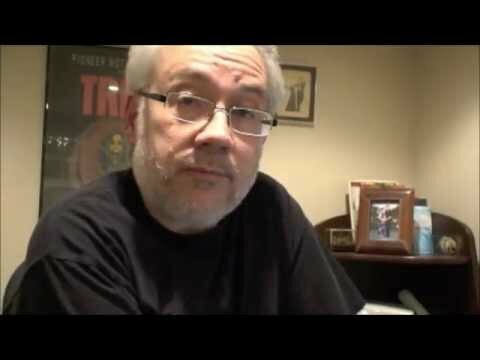 I turned the sound down on this as he has put a sound on his video that mimics what a tinnitus sufferer can hear. It made me nuts to watch it, so I posted below the video what he read while making the video. He likes cats! Lots of them! Some describe their tinnitus as crickets in a field, or chirping frogs, or a constant wind. How pastoral. Not. Some describe it as musical tones or electric humming. How melodic. But for some of us, it's like a jet engine revving up and down in our ears, from the left, the right, and both ears at once. Every second of every minute of every hour of every day of every week of every month... We can barely hear through the noise. We're deafened by a racket you can't hear at all, and we have no way to turn it off. It makes me a little testy at times. I've approximated what I hear into this video's soundtrack to give you an idea why. Tinnitus is a relentless sound that only the sufferer can hear. And don't say you sympathize unless you actually have it. Sympathy requires some degree of understanding, and you just wouldn't understand unless it happens to you. It keeps us awake at night because we can't turn it off, and "masking" it only means trying to drown it out with more noise. It blocks out the sounds of birds chirping and cats purring and babies cooing and lovers whispering. It makes us incompetent on the phone and clumsy in face to face conversations. We can't think straight. Our heads hurt. Our stress level skyrockets and our immune system crashes. We get confused, and we can't remember simple things. We pound our heads and pull at our ears in frustration. We're nudged closer and closer to the edge of sanity by the relentless noise. You know why Van Gogh cut off his ear? Yep, tinnitus. How many suicides are the result of tinnitus? How many diagnoses of madness, Alzheimer's, ADHD, autism, etc. are actually tinnitus? How many developmentally challenged children have tinnitus? How many divorces are caused by tinnitus? How many homeless are on the streets because of tinnitus? Authorities can't hear the noise, so they probably don't even consider the possible tinnitus factor. Doctors can't help. I don't think they really try. There are known causes for a fraction of the cases: brain tumour, auditory neuropathy, Menier's disease, hearing trauma, drug side effects... but for many of us, they don't know the cause and they sure don't know the solution. Yeah, plenty of "sure-fire" cures are offered - mostly by CHARLATANS who prey on the desperation of the afflicted. But nothing cures tinnitus. Management is the best anybody can offer. Smoke and mirrors to trick your mind to look - or rather, listen - elsewhere. Antidepressants, antipsychotics, melatonin, copious amounts of alcohol, relaxation tapes, white noise, expensive customized hearing aids - anything to help get us through the next hour and to possibly give us a decent night's sleep. 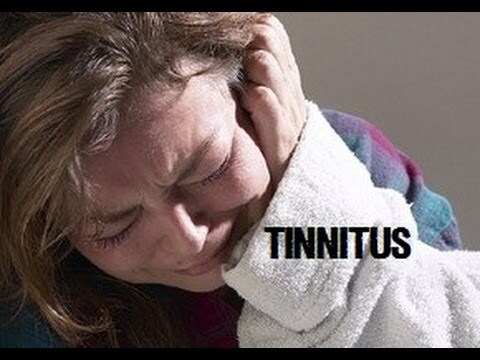 Doctors say that tens of millions of North Americans have tinnitus - which is true - but the very statement is a cold, callous dismissal of our condition as if the sheer number of victims is supposed to make any single one of us feel any better. Maybe we have to wait for enough doctors to get tinnitus before there's serious research into this affliction. And maybe a forward-thinking researcher will look into possible causes like stress, wifi, chemicals in our water, GMO foods, untested vaccinations forced on us, smart meters, allergies, cell phone radiation - or how about all of the above? I'd give it all up and live in a cave just to get rid of this infuriating noise. You would, too. Sometimes the noises stop all by themselves. Rarely. But until it happens to you, it's an elusive dream. I'm offering no solution here. There are none. But you'd think with the motivation of curing a condition that afflicts hundreds of millions of people in the world - not to mention winning a Nobel Prize in medicine - some doctor somewhere would try to figure this out. Meanwhile, you now have a clue why some people may seem a bit cranky or distracted at times, a bit less polite, less tactful, less patient. It might even explain the trolls on YouTube. Parting thought: how would you sleep if this was all you heard at night? I had a good day until i read that. Should be warning signs on some threads . Great to see he has recovered! Maybe someone can ask him to post his story here on TT? I remember watching this video last year couldn't believe his tinnitus is that loud! I mean even the volume on low was too much for my ears.....his regular tinnitus is louder than my super loud fleeting tinnitus!? Ack, anyone who starts a video shouting against the background of a dubstep drop does not have T.
Am interested in how it went away though. Sounds like a virus or something. Kiss on the Ear, No Pain Afterwards. Can Tinnitus Permanently Spike? I Think I Have Tinnitus — How Do I Know If This Is Permanent or Not? Back from the ENT — Hyperacusis Diagnosis — Prescribed Sound Therapy — How to Manage That?